Recently, the owner of an Arizona used car dealership was arrested for selling vehicles with false odometer readings to unsuspecting consumers. During its investigation, the Arizona Department of Transportation discovered that in addition to altering the mileage on its vehicles, the dealership had also removed the letter “C” designation from many of their titles, the presence of which indicates that the true mileage of a vehicle is unknown. Unfortunately, this type of conduct is not uncommon in the used car sales industry. In fact, the National Highway Traffic Safety Administration (NHTSA) estimates that as many as 450,000 used cars are sold with false odometer readings every year. so if you recently purchased a vehicle and now have proof that the mileage reading was incorrect, it is important to speak with an experienced used car fraud attorney who can help you seek compensation for your losses. Odometer fraud is defined by the NHTSA as the disconnection, alteration, or resetting of a vehicle’s odometer, if done with the intent to change the number of miles indicated. In prior decades, odometers could only be rolled back manually on a mechanical instrument panel. While this method can no longer be used on digital odometers, it is still possible to roll back the numbers by removing the vehicle’s circuit board to alter the reading, or using equipment that hooks straight into the electronic circuit. Whatever the method used, rolling back an odometer can have serious consequences for used car buyers who could end up with a vehicle that has undergone much more wear and tear than they imagine. Requesting a vehicle history report to check for discrepancies in the odometer readings. Buyers should also be wary of vehicles that have far fewer miles than the average, which is around 15,000 per year. 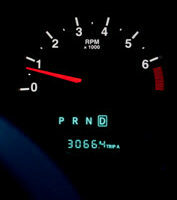 A much lower odometer reading could be an indicator that an odometer has been rolled back unlawfully. If you purchased a used vehicle and later found out that it was a high mileage car, despite having a low odometer reading, you could be eligible to recover damages from the dealer who sold you your vehicle. Please contact dedicated used car fraud lawyer Louis S. Schwartz at CONSUMERLAWPA.com today to learn more about your legal rights and options.